Since education is devolved, there is no overall UK policy on languages, although there are synergies between the policies in the 4 countries of the UK. 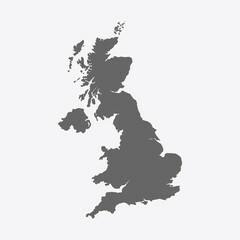 There is currently no specific policy on languages in England. Since 2010 Ministers have expressed an overall commitment to the importance of languages, but actual policy statements are confined to the frameworks set out in the National Curriculum. This states that a foreign language will be taught to all pupils in Key Stages 2 and 3 (ages 7-14), although in the primary sector (7-11) this may be a classical language. There are no prescribed languages, but the range is limited by the number of languages available for examination at 16+ and 19+. Following a consultation in 2016 these do include a number of minority or ‘community’ languages. The National Curriculum includes Programmes of Study for both Key Stages which set out the purpose of language study, the aims, attainment targets and subject content. New subject content for languages was also developed for the current GCSE and Advanced examinations. The National Curriculum was published in 2014 and implemented from September 2016. It followed a consultation on the curriculum from 5-16, and the publication in December 2011 of an Expert Panel report – The Framework for the National Curriculum, which also included proposals for languages in Key Stage 4 (post 14) which were not implemented. The government is committed to increasing the number of pupils studying languages post 14. and in 2011 an additional reporting measure was introduced – the Ebacc. This records how many young people are awarded a suite of GCSEs (A*-C) which include: English, Maths, a Science, a Modern or Ancient language and a humanity. The aim is to ‘dramatically strengthen the position of core academic subjects’, including Languages. The government carried out a public consultation in 2016 on implementing a target of 90% of students achieving the Ebacc and Ministers have repeatedly expressed their ambition to implement this target. Language policy in Wales is about Welsh as well as about other languages. According to the Welsh Language Act (1993), English and Welsh have equal status in the public sector and in the administration of justice. 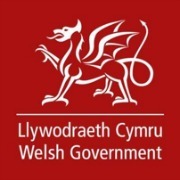 Implementation of the Act has been supported by the Welsh Language Board and since 2011 by the Welsh Language Commissioner. This Welsh/English bilingualism has an impact also on the education system. By 2015 some 24% of primary pupils and 20% of secondary pupils were educated in Welsh medium schools. In addition Welsh is a compulsory subject in all primary and secondary schools. Other languages are compulsory only in lower secondary (Key Stage 3), but a number of primary schools also offer them. Levels of participation post 14 are lower than in the rest of the UK. A strategy is in place to try to rectify this – Global Futures. It aims to increase take-up, improve the teaching and learning experience and improve attainment levels. The ambition is for Wales to become a “Bilingual plus 1” nation. This is a five year plan and it is intended that there should regular reports. The Scottish Government has expressed a very clear commitment to language learning. It supports Scotland’s National Centre for Languages (SCILT) and in 2013 it established a Languages Strategic Implementation Group. It has also allocated additional funding for implementation of its plans (£16.2 million since 2013). The basis for current policy is the “Curriculum for Excellence” which was introduced in 2010 and which gives an important role to languages with descriptions of the “outcomes” expected at different stages. A core language policy is the “1+2 Approach”, similar to the EU policy of Mother tongue plus two; it is intended that by 2020 every child will be entitled to learn a first additional language from the beginning of primary school (4/5) and a second one at age 8/9. 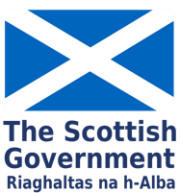 The Scottish Government also has specific policies for the support of Gaelic. A languages strategy for Northern Ireland was published in 2012 – Languages for the future, but it is not clear how far any of its recommendations have been implemented. Languages are compulsory only in Key Stage 3 (11-14), although the NI Curriculum does expect that in Key Stage 4 (14-16) pupils are given opportunities to build on their Communication Skills, which could include a language. Primary languages are not compulsory, although many schools have introduced languages at this level. A government support programme was, however, ended in 2015 on financial grounds. Irish (as well as Ulster Scots) is protected in Northern Ireland as the UK is a signatory to the European Charter for Regional or Minority Languages. Irish is taught in schools, including in Irish medium schools. The development of a strategy for Irish has been a matter of some political controversy.